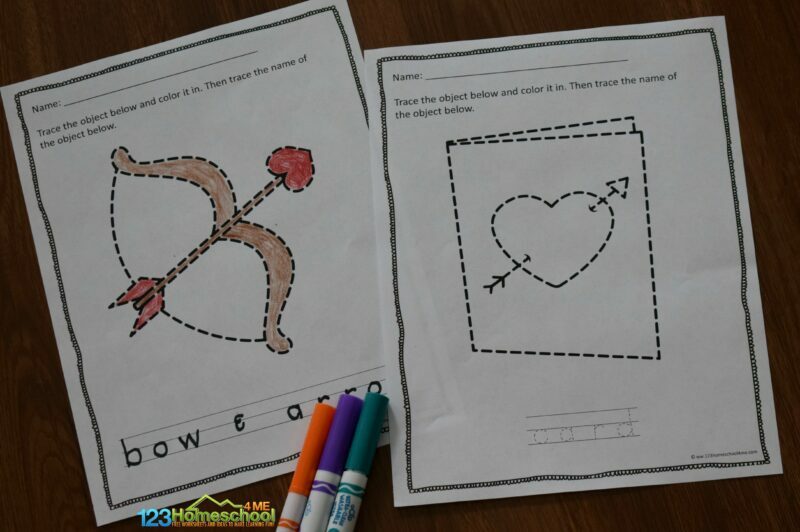 Kids will have fun practicing using a writing utensil with these free printable Valentines Day Tracing Worksheets perfect for toddler, preschool, and kindergarten age kids in February. Kids need to develop coordination and strength in their hands and fingers before they are ready to begin writing. 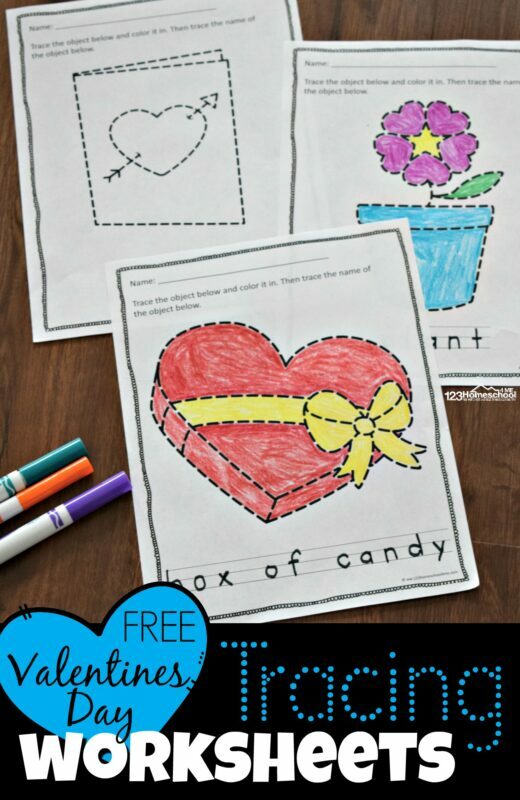 Tracing pages like these Valentines Day tracing worksheets are perfect for giving kids the change to do just that while having a little seasonal fun! These are perfect for toddler, preschool, and kindergarten age kids. Print out however many pre writing worksheets you like. There are eight different February themed coloring pages for kids. Kids will trace the picture to practice coordination. 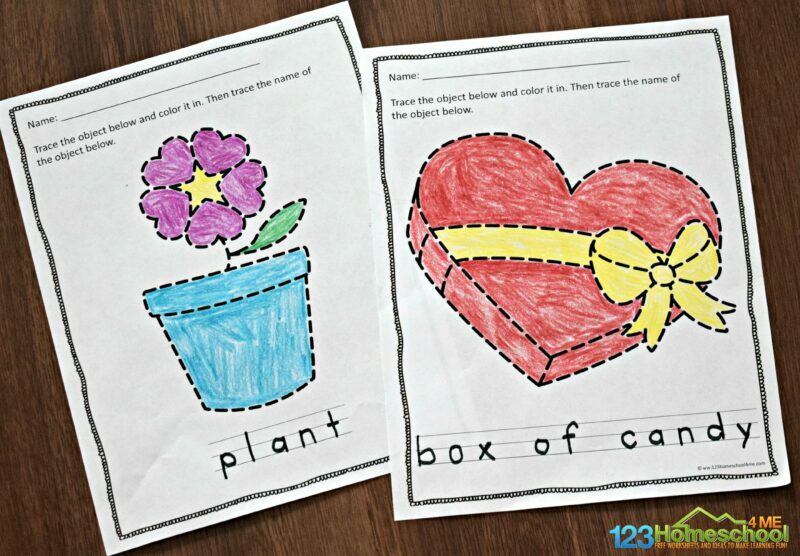 Next up, have children color in the Valentines Day picture. This is not only fun, but also works on strengthening those hand muscles. Finally, for children who are ready, they can trace the letters to spell what picture they have made.